Simulator stepper – general information. What muscles are involved in work? Is it possible to pump up the buttocks with a stepper? How to practice correctly on the stepper? How to do stepper workout properly? Optimal pulse for weight loss. What types of exercises are possible on the stepper? How to choose a reliable stepper for home? 9 types of simulators for weight loss – how to choose a stepper for house usage? A stair stepper vs exercise bike: What is better? Comparative analysis. What is common between the two options? What is more effective to train for weight loss? What simulator to choose for arthrosis and other diseases of the joints? Let’s talk about stair stepper – a popular simulator, which you probably saw in the training halls. We will consider in detail what a stepper is. Which muscles work during classes, what benefits this device brings to health, what types of stepper trainers exist and how to practice on a stair stepper. Here we will talk about House Fit HS-5027, Torneo Twister S-211, and other models. The modern man walks much less on foot than even in the last century. Having your own car, sedentary work in the office or at home, the preference of passive rest to active. All these factors do not contribute to the harmony of the legs and buttocks. It is not surprising that there are more and more people with excess mass. And girls have to fight for the slender figure with all possible means. The load on the locomotor apparatus in modern people is minimal: it is reflected both in the figure and in the state of health. Osteochondrosis, osteoarthritis of the knees and femurs in the blooming age have become commonplace. Not everyone has time to regularly visit the fitness room and beauty salons. In this situation, the most appropriate and effective way to solve the problem will be to purchase a home simulator. Simplicity and affordability. If the simulator is cheap, this does not mean that the model is ineffective – with regular classes, you can achieve your goals with a mini-stepper. Small dimensions of the housing. It will be better to purchase a mini or balancing option – their functions are similar to more expensive models, and the price and dimensions are significantly smaller and often complemented by a digital module. The existence of hand-rail or expanders. They help not only to maintain balance but also develops abdominal muscles and the top of the body. Weight. Your weight should not exceed specified in the specifications of the maximum mass of the user. Training programs. Their number and the seriousness of your mindset depends on the availability of finance, you should focus on a multifunctional magnetic model with a choice of programs, independent pedals and the ability to adjust the load. It should be noted that steppers also differ in the type of movements performed. Consider each of the types separately and see which one is more effective. The classic model reproduces the climb up the stairs. This is the ancestor of all stair stepper trainers. A very suitable option for people with sedentary work, leading a sedentary lifestyle. Training on it is simple but effective. It can be made as a regular platform with pedals or have a stand with handles to maintain balance when walking. To enable the top of the body to work, you can use dumbbells or hand weights. One of the most common and budget options offers the American brand “House Fit”. Cardiostepper universal House Fit HS-5027. + bonus to the buyer – 4 dumbbells. Cost – from 100 dollars. The disadvantages include the lack of programs and the creaking of the pedals (the problem is solved by changing the oil). Mini-stepper can be called a reduced copy of a conventional simulator. 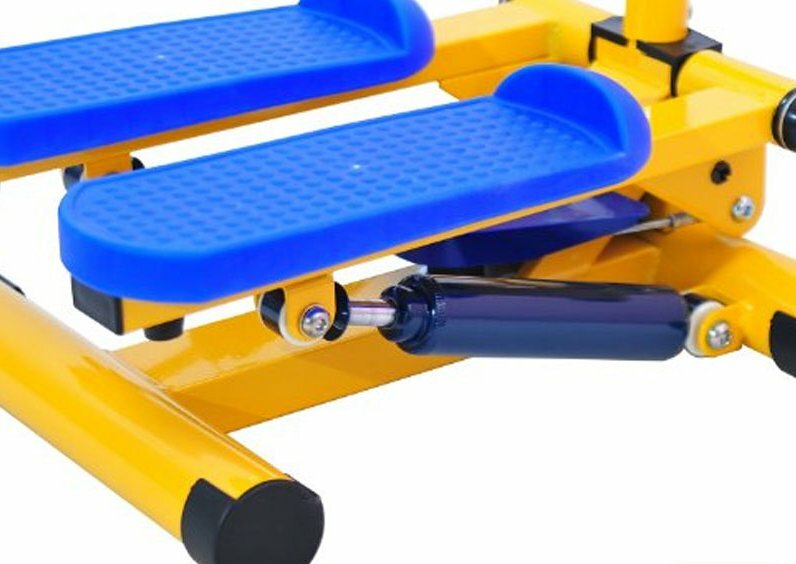 Its design is simple – a small platform with two pedals, in some models, supplemented with expanders for inclusion in the training of the muscles of the arms and upper body. A great option for those who want to study at home. A selection of 7 of the best models of mini-steppers and walking techniques on it will help you achieve the best result. The advantages include a low price and laconic dimensions – it is placed under the bed or car seat, which allows you to take it with you on trips. durable – withstands weight up to 120 kg, while compact (weight – 12 kg) and affordable (price varies starting with $ 50). The disadvantages include the usual for mechanics, the absence of the load level controller and the possible creaking of the pedals during operation (eliminated by lubricating the parts). 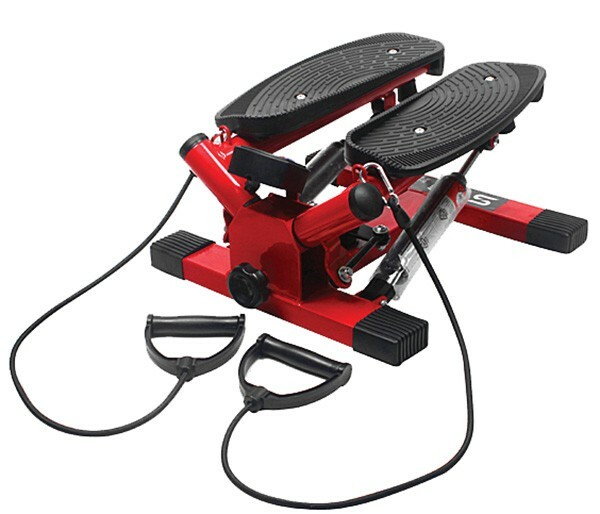 More suitable for beginners – the limited trajectory of the pedals does not allow the pros to achieve high-intensity loads. The design of the cardioverter (rotary stepper) is almost 100% copy of the classic stepper. Only one feature changes it – the turning handle, thanks to which it received the name of the rotary stepper. The presence of the lever allows you to perform on the simulator movements of a mixed, bidirectional nature – walking and turning the torso, similar to those when you twist the hoop. All this gives a uniform load on the muscles and the top and bottom of the body. At the same time, it has small dimensions. + withstand weight up to 110 kg. Cost – from 65 dollars. Interesting! A comparative analysis of the stepper and exercise bike and special fitness tests prove following. 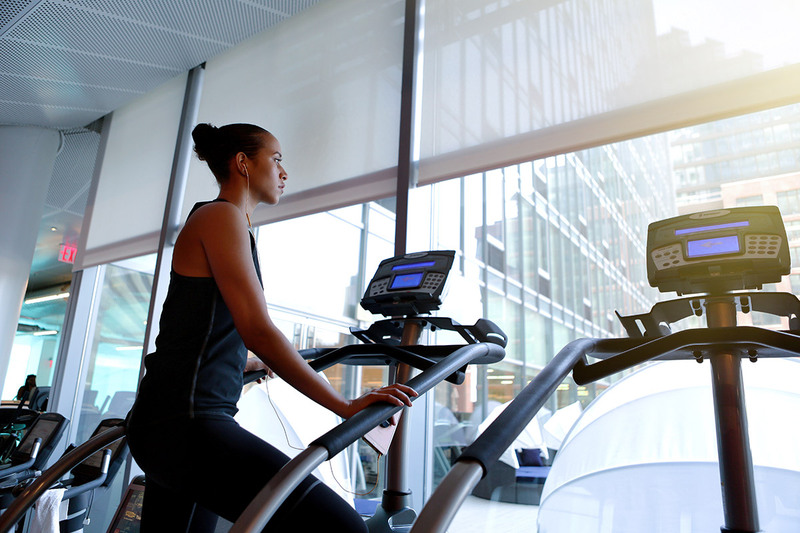 Namely, a person of average fitness, doing the cardio twister, spends much more calories than on an exercise bike or a treadmill due to the inclusion of a larger number of muscles. The design of the stepper with expanders combines a stepper for legs and an expander for hands, loading in the process of training and the upper body. can withstand weight up to 100 kg, it weighs 9 kg. Cost – from 75 dollars. Minus – with a long intensive load overheats. Caution! In fact, training is not recommended for injuries, serious heart and kidney diseases, late pregnancy, diabetes mellitus with acute complications, sustained increases in blood pressure, inflammations and infections. Older people need to consult a doctor. Among stepping cardiovascular machines, the balancing stepper is distinguished by the fact that the lessons on it resemble an energetic dance. Because of the unusual type of movements that are performed on such a stepper, he received another name – rock and roll. Feet on the pedals during the classes do not make the steps, but roll from side to side. While balancing, the top of the case tends to maintain its natural vertical position. The work involves the muscles of the whole body. In addition to strength, trains coordination. Characteristics of the top 3 best balancing simulators with positive feedback will help you make the right choice. + time counter, the frequency of steps, walking speed, number of calories. Cost – from 45 dollars. The disadvantages include the unpleasant smell of rubber and creaking. 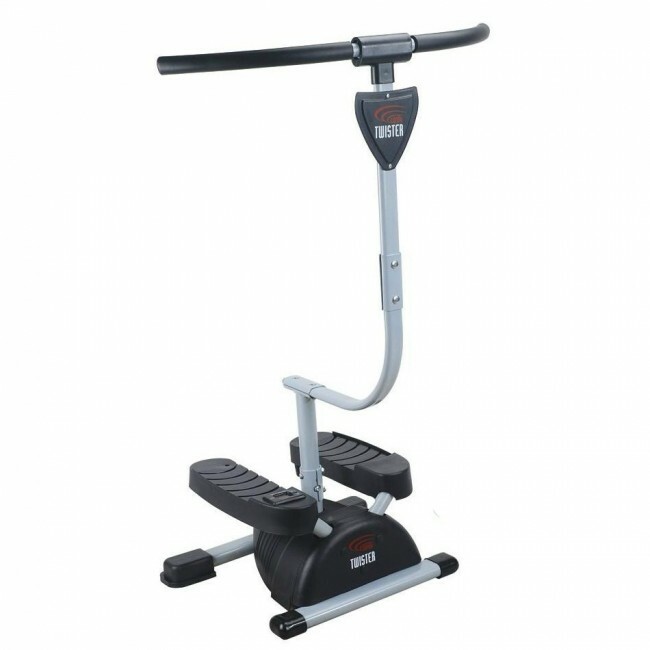 Orbitrack or elliptical stepper combines the best qualities of a stepper, exercise bike and a treadmill. In particular, simulating the smooth cyclical movements of a skier with the participation of arms and legs. It is very popular among athletes, it develops many muscles at once, legs can move both forward and backward, stress on the joints is almost eliminated. But it has a high price and large dimensions. stylish design and relative compactness (50×100 cm, height – 142 cm). The weight of the ellipse – 23 kg, can withstand a load of 120 kg. The cost price ranges, from 250 dollars. Mechanical loading system equipped with most of the classic and mini-steppers. The work of the pedals on the cylinders creates a heavy load, in contrast to the electromechanical models. Therefore, this simulator is suitable for effective training, and its undoubted plus is a low price. + compact size, weight 5 kg, withstand 100 kg. Cost – from 50 dollars. Ultramodern ladder trainer – a compact moving ladder, resembling a mini-escalator with many functions. suitable for athletes of any weight, height and volume. The cost of more than 10,000 dollars makes steppers more affordable for modern fitness centres than for the home. Performing the same functions as a shag for adults, the baby stepper is designed and developed specifically for toddlers. Lightweight, bright in colour, as safe as possible in construction materials. Practically no contraindications, designed for children 4-8 years. Colourful, bright colouring kids love. Designed for children 4-8 years old, can withstand loads up to 50 kg. Cost – from 60 dollars. First, let’s understand what a stair stepper is. It is a cardiovascular device that simulates climbing steps. The name comes from the English “step”, that is, “step”. 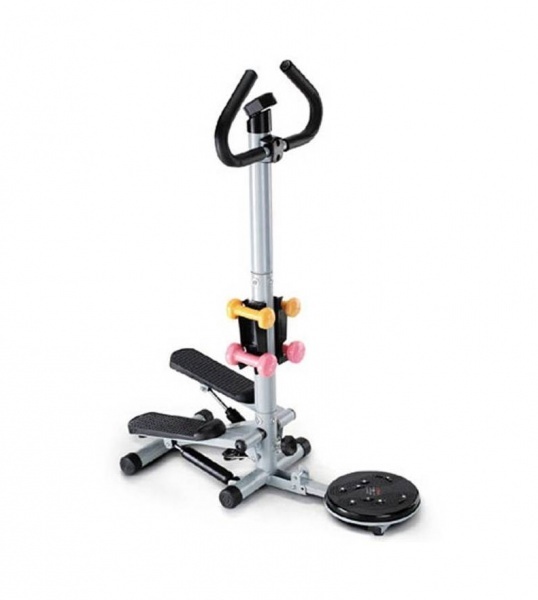 Like other cardiovascular machines, this equipment provides the person with the necessary amount of natural movements for him. Exercises on the stepper are aimed primarily at strengthening the muscles of the legs, thighs and buttocks. The simulator strengthens the heart and blood vessels. Stimulates and develops the respiratory system. It makes the muscles of the back and abs work. The main advantage of the stepper is its ease of operation. Also, the device does not take up much space and is relatively inexpensive. For home use, people usually chose mini-steppers. Compact and functional devices from the world’s leading manufacturers of sports equipment. Today, you can easily select and buy a stepper for the home in an online store or regular sporting goods store. The first option is a fairly dimensional design. This simulator is equipped with handrails to help maintain balance, or levers that provide the additional load on the muscles of the arms and back. Mini-steppers are a simple platform with pedals. In addition to this, some modifications also equipped with additional accessories. The stepper with expanders allows you to load in the process of walking your arms and back. This is the most effective cardio training machine at home. The classic simulator as accurately as possible (in anatomical and physiological terms) simulates the rise of the stairs. Balancing apparatus, as the name implies, helps to develop coordination further, strengthen the abdominal muscles. Moving, such a platform shifts the centre of gravity of the body in different directions. At first, movements may seem difficult. But after gaining dexterity, walking can be supplemented with various movements of the arms and legs, giving additional load. Such a model is often called the “rock and roll stepper”: the exercises really resemble a familiar, energetic dance. Rotary stepper incidentally loads the back, because when walking you need to perform turns the body. Classes on such equipment characterised by increased intensity: literally after 10 minutes of exercise, a person receives a load on all the muscles of the body and especially on the troubles for many women “riding breeches”. Far from all our compatriots welcome the purchase of home simulators. And they are justified: our apartments are not too large, and often small in general, so I don’t want to fill in the living space with unintelligible objects. Many people buy a simulator, then regret it: he takes a seat, but nobody wants to do it – laziness and time are short. However, the simulators are different: now there are those who take up little space and help to lose weight, and it’s not difficult to work on them – for example, steppers. Folding – do not take up much space, but less durable and are not designed for intensive training. Steppers also divide into mechanical and electromagnetic. The first type operates at the expense of hydraulics. Exercising presses on the pedal, the cylinder is compressed, and when the weight finished transferring to the other pedal – unclenched. These models do not make noise during operation and do not need an external power source. 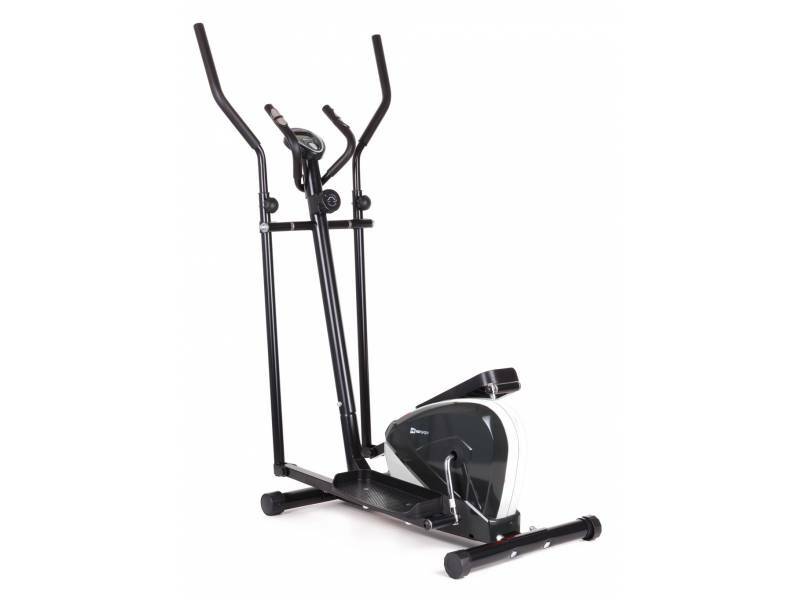 Such exercise machines are rarely used at home and are more suitable for gyms and fitness centres. The stepper is a small simulator, but it brings considerable benefits to health and beauty. During classes, many of the muscles of our body work on it. First of all, these are the muscles of the legs, thighs, and buttocks – women often call these areas of the body problem areas. The stepper helps to forget about the problems. Doing it regularly, you can get rid of ugly “breeches”, and make your legs slim and strong. Most women are well aware of what cellulite is and dream of getting rid of it. Especially often thighs and buttocks are affected by cellulite. Using a stepper in combination with anti-cellulite cosmetics, it is possible to improve the condition of your skin in just a month. It will begin to level off, and the “orange peels” will start to disappear. Getting rid of the folds in the abdomen is also a dream of many, and a stepper can help here. If the movements are performed correctly while walking, the abdominal muscles are also worked out and trained. Now steppers with levers are popular. They allow you to train and strengthen not only your arms but also your chest and back muscles. In general, almost all the muscles in your body really work. Of course, as a result of regular exercises, the state of all the muscle tissues of the body improves. The heart muscle strengthens, and the cardiovascular and respiratory systems begin to work better and more efficiently. From this, it turns out that stepper refers to cardiovascular machines. For weight loss population use at home some different exercise equipment. And the stepper is no exception. It designed for aerobic exercises. This type of exercise allows you to expend a lot of calories, burn fat and keep the body in good shape. Aerobic exercise is an exercise that strengthens the heart, blood vessels and lungs. In this case, fat burns, and muscle mass remains normal. This type of stress allows you to normalise increased pressure, relieves the effects of stress and prevents the development of heart failure. In 30 minutes, workouts on a stepper allow you to lose about 250 calories. Obviously, if you do it with average intensity. A stabilisation of weight due to the burning of fat deposits. Strengthening the muscles of the legs and buttocks. Training of the heart muscle and blood vessels. Stimulation of the respiratory system. Regular training on stepper is useful to everyone who cares about the slimness of their body and the full physiological load of the musculoskeletal system. As a therapeutic tool, doctors recommend the device for people at the stage of rehabilitation. Preferably, after the main course of treatment of injuries and degenerative diseases, of the extremities and the spine. Aerobic exercise when working on this simulator, as well as when climbing stairs, is mainly aimed at the lower limbs. On the stair steppers, when included in the work of hands with the help of levers or expanders, the load is given to the following muscle groups. Front and back of the thigh. Gluteus muscles (large, medium and small). Arms, shoulders and latissimus dorsi. Walking on the simulator, in any case, you can work out gluteal muscles. But if you want to pay special attention to this part of the body, follow a few rules. Watch if you have the correct body position. The knees and toes of the legs standing on the pedals that are slightly turning outwards (“heels together, toes apart” pose). The body is tilted forward. The support is on the arms. The waist – in a slight trough. Pressure on the platform when walking – heels. You should practise it 3-4 times a week. Every other day for 20 minutes if the muscles will already warm after strength training. Similarly, about 1 hour if the step session is carried out by independent training. Warm up for a smooth entrance to the workout with a gradual 5-minute increase in intensity. And then make a hitch to exit from it at the end with a 5-minute decrease in load. The main 10 minutes with a 20-minute workout. Movement at working speed (breathing does not get off strongly and coherently talk). For an hour lesson, entry and exit – 10 minutes each. Attention! The mechanism of fat burning does not start if the body perceives exercise as physical stress. This situation happens without prior preparation and heating of the muscles and ligaments. Therefore, immediately jump on the steppe and walk at a high pace should not be categorical. These simple rules will help you give your buttocks elasticity and relief, get rid of or reduce the appearance of cellulite. Stepper differences from other cardiovascular machines. Treadmill. Maybe, like the stepping trainer, used for slimming and burning fat, strengthen the same muscles of the lower body, especially the calves. However, it is more suitable for developing cardiovascular endurance, and also, due to a strong shock load on the vertebrae and joints, is contraindicated for people with osteochondrosis, flat-footedness and having problems with ligaments and joints of the legs. Exercise bike. Not the best choice for weight loss – while working, almost half of the body muscles are inactive, almost the entire upper part. Especially if the modification is horizontal, although this same feature makes such a cardio indispensable for people who have back problems. Much more than for losing weight, suitable for those who return to the sport after a long break or injury – for example, ankle. Comparative analysis of the stepper and exercise bike will help you more accurately determine the choice. Rowing machine. It can be a good helper in getting rid of extra pounds. Combines two types of load – aerobic and power. It includes almost all the muscles of the lower and upper body. However, unlike the stepper, who is struggling with women’s problem areas, such cardio is considered masculine – women avoid active rowing lessons for fear of syphoning their shoulders. Ellipsoid. Almost created for weight loss. It includes the whole body in training, while it spares the joints and is shown, in contrast to the stepper, even to very full people. If your goal is to become slimmer, there is no better option. However, the high price of cardio and its impressive dimensions can be a snag, as opposed to a stepper. Therefore, most often the ellipsoid is available for training only in fitness rooms. Attention! If your heart has conquered an ellipse, and you certainly want to have it at home, pay attention to one of the varieties of the stepper – elliptical. Its size and price are less than that of an elliptical trainer, with all the properties and advantages present. The main condition for successful training is the constancy of classes. Exercise preferably three times a week. 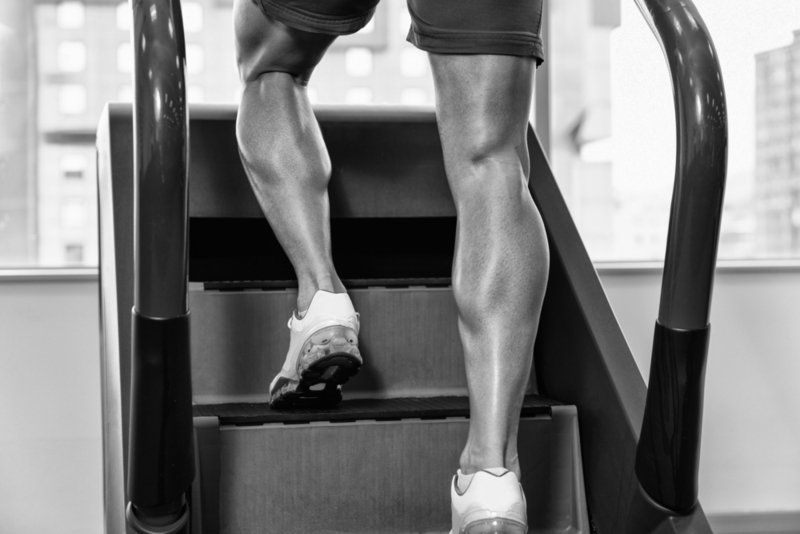 Walking on the stair stepper should not be too intense – especially in the first months of classes: avoid overloading and overstressing the muscles. Be sure to monitor your heart rate (first, determine your heart rate and calculate the rate of load). An empirical method for determining the allowable threshold: 200 beats minus age. If the number of heartbeats begins to exceed the allowable values, relax, restore breathing. The frequency of inhalation and exhalation is an indicative measure of the intensity of exercise. If you feel difficulty breathing, it means that you are overloading the body: increase the load consistently. There will be no extra consultation with the therapist before buying a simulator or starting classes. Another prerequisite for achieving the maximum benefit of employment is methodicalness. Perform movements correctly, in the middle of the rhythm, without undue stress. Standard step: keep the body straight and step as if climbing a ladder. You can increase and decrease the pace by changing the pressure of the foot on the pedals. Half footstep (“half feet”): straight body, quick and small steps with an emphasis on the front of the foot. Hardstep: the body leans slightly forward, the support of the foot is full, the pressure is slow, with noticeable effort. The first training should be short: no more than 10 minutes. Three times a week. Gradually, you can increase the duration of classes to 30 minutes in a day. For weight loss, choose a mode with a high frequency of steps and low resistance. Check the functionality of the simulator before use. Make sure that all components of the device are present and securely fastened. If you engage in silence, you are bored and uncomfortable; it is worth picking up some music for training. Ideally, the rhythm of musical accompaniment will coincide with the rhythm of your steps. Who cannot engage in stepper (contraindications)? With arterial hypertension of 3 degrees. You should not train if you have a cold, inflammatory or infectious disease with fever. Older people require medical advice before starting training. How do you need to deal with the stair stepper to improve health and learn to burn calories? First, you have to do stretching exercises. We should do them before any workout, but for some reason, we forget about it. If the training is first, then it is not worth practising for more than 15 minutes. Otherwise, the muscles may overload – you should keep this duration for the first week. in the second – you need to stand straight, with a slight inclination forward, but do not bend your back, and keep your knees free – do not bring them close. Some people think that if they quickly “walk up the steps,” it will help to burn more calories. But this is not so – such a pace will tire the muscles, and you will spend fewer calories. You should fully support the feet on the pedals. If they hang down, even a little, it loads the joints and may contribute to their deformation. During the workout, you should combine slow walking with a deep step. First, the pace should be slow, then accelerate and alternate. And by the end of the session you should slow down again, and in conclusion, again perform stretching exercises. In the 2nd week, the duration of classes can be increased to 20-25 minutes, and by the end of the month, you will be able to study for about an hour. This is fine, but the muscles get used to the loads on the stepper quickly, so you should combine workouts with other types of loads. This way you can quickly achieve the desired result. If you exercise 3 times a week, the duration of the workout can be even more than an hour – if it takes place in slow motion. However, many people like to study every day, for 15-20 minutes, and this is also effective – only classes should be regular. Rotary stepper – enhancing the effect of training. Recently, new stair steppers have appeared on the market, called rotators. Instead of handrails, they are provided with expanders, and this allows you to increase the load on the muscles of the arms, chest and back – they are worked out very seriously during a workout. The load on the abdominal muscles and on the lateral muscles of the body also increases, and therefore the turning steppers help to lose weight faster – provided that you can adapt to them and withstand the load. The loads on such a stepper are automatically adjusted: if the speed of the exercise increases, the load also increases and decreases if the speed of the movement is slowed down. There are also swivel steppers without expanders; both in that and in the other case, their price, in comparison with traditional simulators, is approximately the same, but the effect of the lessons will be clearer – all that remains is to choose. Classes at the stair stepper will benefit if you remember and follow some rules. Do not start training earlier than an hour after eating; do not take medicine right before training; in the evening you can not train before bedtime – at least 2 hours should pass so that the body can relax and have time to fully relax; breathing during exercise cannot be delayed – you need to breathe smoothly and deeply. The stepper has advantages and some disadvantages. The first is its small size – it fits perfectly in a closet or under the bed, which is important for small apartments – and versatility: it not only allows you to maintain a healthy weight but also helps you recover from serious illnesses, operations or fractures; classes on steppers can be appointed as physiotherapy exercises in the treatment of arthrosis and arthritis. The price of the stepper is also an advantage: compared to other simulators, it costs significantly less. As for the shortcomings, they can be easily corrected. Some people are afraid to practice on the stepper because their knee ligaments are stretched – this happens when the knee takes the wrong position when walking. This is easily avoided if you turn to a professional trainer for advice before starting a training course. There are no special contraindications for practising on the stair stepper, except for serious diseases of the joints and the musculoskeletal system – in this case; it is better to choose a special simulator. Often they complain of painful sensations in the knees when practising on the stair steppers. Sometimes, for this reason, classes are suspended altogether, and the simulator gathers dust at home without work. Usually, such pain is a signal that, when performing an exercise, the initial position is initially wrong, and then the load on the knees is incorrectly distributed and traumatic situations arise. That is why the knowledge of how much you need to walk and how to properly engage in a stepper is very important. If your knees from the simulator are still sick, stop training, giving them time to recover, and in the meantime spread them with ointment for the joints, drink chondroprotectors or eat gelatin-containing foods more often – jelly, jellies. Wait until the pain recedes, but now start training, carefully following the technique. pressure on the platform socks with the separation of the heels from them. Proper stepper training helps to effectively burn fat and strengthen muscles. Be sure to need a 5-10 minute warm-up to warm up the muscles. The workout includes any simple exercises (walking, easy running, jumping rope, rotation of various joints, simple movements of school physical education). At the end of the session, the pace slows down, and you must complete a cardio session with a 10-minute stretch of worked muscles. The movements should be smooth, in one posture it is necessary to linger about 10 seconds – to light tension, but not to pain. How much to walk on the stepper for a visible result? Starting from 10-15-minute classes with low intensity, bring the time to one hour during a month. When losing weight, the optimal time is 40-60 minutes at low intensity. The “25 minutes rule” works here – during this period of exercise, blood sugar and carbohydrate glycogen from the cells of the tissues are consumed. In fact, only after 25 minutes does the process of burning fat start. 100-110 beats per minute for beginners and 120-130 – for people of average sports training – what you need. You can track the readings using a heart rate monitor or sensors built into the simulator. Try not to exceed your average age: interval 130-160, if you are 20-25 years old, 123-152 (30-35), 117-144 (40-45), 110-136 (50-55), 104-128 ( 60-65), 97-120 (70 and older). How many times a week to do? Rhythm 3-4 times a week alternates load days and days of necessary recovery and is ideal for both beginners and experienced fitness enthusiasts. What time of day is preferable? Those who want to lose weight should choose the morning. A sharp transition from a lazy state to an active one will help the body burn fat more intensively to compensate for the energy expended. Exhausting yourself with hard diets is unacceptable – just eat healthy, natural foods. Eat fewer carbohydrates, more protein – the building material of muscle tissue. It is interesting! The effect will be given even by exercises on the smallest and simplest mini-stepper. If you take it, as a rule, to practice regularly, eat properly and do the exercises correctly, without the risk of injury. The easiest workout – is just stepping up. Of course, after a 5-10 minute warm-up to warm up the muscles. At the end of the session, the pace slows down, and you must complete a cardio session with a 10-minute stretch of worked muscles. + 5 minutes walk at a quiet pace, the heart during this time completely calmed down. This exercise can be done even by people without sports training. It lasts about half an hour and burns about 300 calories. This figure will increase by another 100 calories if you put your hands and upper body into work. Lifting arms to shoulder level. Lifting arms in front of you. Lead back to the triceps. “Scissors” in front of him. Important! Monitor your pulse with a heart rate monitor or sensors built into the simulator. Do not go beyond the intervals. 130-160 (if you are 20-25 years old). It would seem a strange question: does the stepper simply assume climbing up the stairs? But no, in fact, everything is not so simple. This simulator allows you to slowly “climb the stairs”, and very vigorously “run” along with it. Naturally, the degree of load on your muscles and the cardiovascular system will be different. It means that the result will also change – in matters of fat burning, heart and vascular development, and endurance growth. In addition, the technique differs in steps. What could be a step technique? Explanations are not required here: all the key nuances of technology have been described above. The main exercise, necessary for all athletes involved in steppers. With such a step, the body (without flexing the back!) slightly “collapses” forward on each cycle of movement. And, thereby, the work becomes more powerful. But, of course, decreases the pace. Thus, the effect of fat loss, as well as the development of blood vessels and the heart, will be lower. But your muscles will be worked out better. Just make sure your knee joints are ready for a similar load! During the exercise, your knees should not straighten until the end. Otherwise, the joint will receive a harmful load. Contrary to the advice above, when using this specific technique, on the contrary, it is necessary to slightly pull the heel off the pedal. But while the pedals are not squeezed out to the end, and the pace – significantly higher than usual. So you better work out the cardio system and be able to lose weight more effectively. But, with this mode of operation, it is important to closely monitor your pulse. We already described this in detail earlier. See previous sections. To choose a stepper for the house, it is better, of course, to ask the advice of a specialist (trainer of the fitness room). The seller in the store can offer you not the most convenient, but the most expensive model. Much depends on your own financial capabilities and (not least) the free space in your living space. If you have purely practical goals (to reduce weight, remove fat from the hips and buttocks), then the simplest and most inexpensive modification will do. If you are going to track training progress and are not limited in funds, purchase the most expensive model with the ability to customize and reconfigure and functions of monitoring vital signs. Such devices will clearly show how many calories are taken, how many steps have been taken, what are the indicators of the pulse. If you want to do the minimum, buy a conventional (or rotary) hydraulic simulator. With a lack of space in the apartment, take a mini-stepper or a rock-and-roll model. 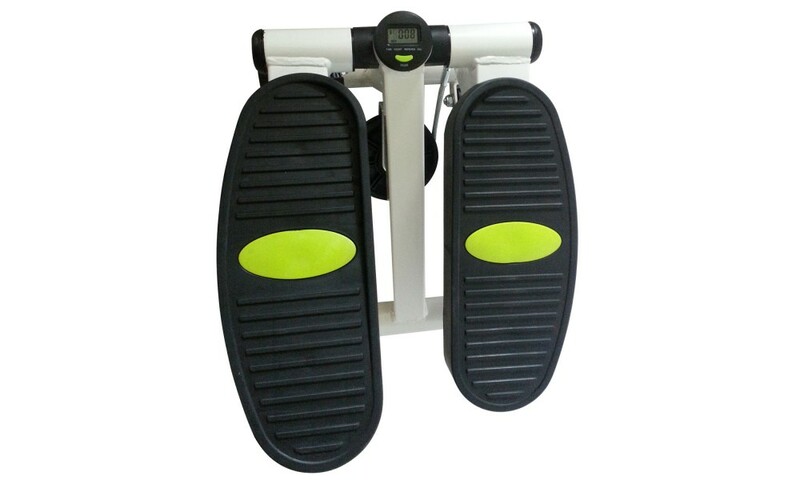 Such steppers are convenient and functional but do not allow to regulate the load. The price range for this equipment is 30 – 300 dollars. Each of us wants to have a healthy and beautiful body. But some diets cannot do here – we also need constant physical exercise. And if there is no time to go to the gym, there is an easy way out – to arrange it right at home! It will only be necessary to take a modest corner for the simulator and combine the useful with the pleasant. And in any weather, at a convenient time of the day, listening to music or turning on the TV. The main thing is to choose the right simulator and master the lessons on the stepper. The stair stepper is what you need. What is the step trainer? If you have reached this point, then probably you already know what a stair stepper is and what is its use, what we have already written about above. But if it so happened that you did not study the information above, then read briefly about the simulator in this paragraph. The name of this cardiovascular device is based on the word “step” because the principle of its operation is based on walking. Occupations on the stepper – the imitation of rising on foot upwards on a ladder. This is achieved by transferring body weight from foot to foot by alternately resting the legs on small platforms slightly larger than the size of the sole. With interdependent and independent pedalling. The stepper load system is of two kinds. Mechanical design. Such simulators are equipped with two (according to the number of pedals) hydraulic cylinders, which are alternately compressed and decompressed when pressed on the pedals. This is a classic of mechanics, a simple and clear mechanism. Such steppers are very popular due to quiet operation, small size and low price. Electromagnetic system. The principle of their work is the magnetic resistance of the pedals, control is carried out from the control panel. 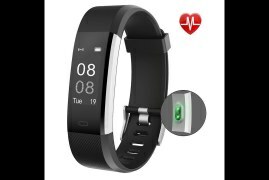 Such models are equipped with the latest electronics, have a large number of functions, allow you to work on built-in or individual programs, follow all the basic training parameters (pulse, number of steps, speed, calories, etc. ), levers for working hands and the upper part of the body. The main “but” of such simulators is their impressive dimensions and high price. Therefore, they can often be seen not at home, but in fitness rooms. With dependent pedal travel. They have a mechanical drive and two mobile steps connected by a mating mount, which makes the load on both legs directly proportional and does not require much effort under pressure. The function of adjusting the load is absent, but this design is easy to operate, does not need the power supply and has low cost. With independent pedal travel. The choice of parameters of the stroke is carried out through the built-in electrical computer, and therefore the range of load, resistance and other indicators of steps is very wide. You can also adjust the load for each leg separately – this is important if there were injuries or problems with the ligaments and joints. It is available – convenience and efficiency, but this, of course, affects the price. To keep fit in order, and your muscles in good shape, regular athletic loads are necessary at any age. Most people, due to different circumstances, prefer to study at home. And then a reasonable question arises – which simulator to take to help for a better result? The best option for home is cardiovascular equipment. It will tighten the figure and will drive those extra pounds, and it will strengthen the heart. The two most popular of them are the stepper and the exercise bike. We will discuss what is more effective for burning fat and maintaining health. Let’s look at the principle of operation, as well as the advantages and disadvantages of both cardiovascular equipment. The principle of operation of the stepper is alternately pacing on the pedals-levers built into the stable platform, imitating the ascent up the stairs. Its main task is to strengthen the muscles of the legs and buttocks, although various modifications may also include other muscle groups, including the upper body. Children’s stepper is designed to promote the general physical development of children from the age of 4. As well as help in the rehabilitation of children with cerebral palsy and other musculoskeletal pathologies. Feature! If you live in a high-rise building, you just have to climb the stairs from the ground floor to the last floor several times a day. Aerobic exercise is the same, and there is no need to purchase a simulator. The principle of operation of this cardiovascular machine is familiar to anyone who has ever sat on a bicycle at least once in his life. Only its stationary copy eliminates the risk of falling, but also provides an opportunity to practice in any weather and not to carry at the same time constantly high on itself up and down the stairs. Today there are many types of exercise bikes (belt, magnetic and electromagnetic, elliptical, vertical, horizontal and mini versions). They have stood the test of time and are still consistently popular with fitness enthusiasts. Attention! When choosing a model, pay attention to the functions. The more their set – adjustment of resistance, the accounting of loading, the pulse counter and the spent calories – the more convenient, more interesting and more effective your workouts will be. Although it will cost more. So what – stepper or bicycle – should be preferred? Before you make a decision, determine what you want to achieve with it, and also determine the place where you will put a newcomer. monotonous rhythmic movements soothe and relax the nervous system. Let’s consider the strengths and weaknesses of each simulator separately! Compactness and simplicity – the stepper takes up very little space, is simply adjustable and easily removed after a workout. Reasonable price (you can purchase the mini version from $ 50, the usual – from $ 100). Sporting advantages include the natural for a person walking with the burden. Furthermore, it is an excellent option for women to work on problem areas of the lower body. the low intensity of training, which is associated with limited movement abilities on this type of cardio — to compensate for the intensity, it will be necessary to increase the time length of the activity. With a certain adjustment of the angle and height of the seat, you can significantly relax your back while training your legs. Besides, on horizontal exercise bikes, even people with varicose veins or diseases of the spine can engage. His pedals are at the level of the abdomen and rotate from a prone position, which relieves the spine almost completely. Ideal for those who return to the sport after a long break or injury, for example, ankle. Even though such a simulator is inexpensive, it is still more expensive than a stepper (the simplest is from $ 70, more advanced is from $ 200-300), and although it takes a bit of space, you cannot fold it and put it under the bed. The number of working muscles is limited. In simple models, mechanical parts such as pads and belts wear out quickly. Having weighed your physical shape, opportunities for finances and training time and their goals, you can make the right choice. For slimming, figures are equally good and walking up the stairs, and cycling. But in both cases, efforts are more directed towards the lower body. If you want to remove excess centimetres and kilograms from the legs and buttocks, the breeches zone – both simulators will help. Watch the parameters for the activation of metabolism and rapid weight loss: breathing is deep and intense, the load is slightly below average, but time is at least half an hour (fat burning starts after the 25th minute of active training). As for the difference in efficiency, there are scientific facts: about 600 kilocalories can be burned for an hour cycling in the home, about 500 kilocalories for the same time on a stepper, with the same intensity. The stepper affects the joints harder than the exercise bike, with the exception of one type – an ellipse, which almost completely removes the harmful shock load on the knees and ankles. 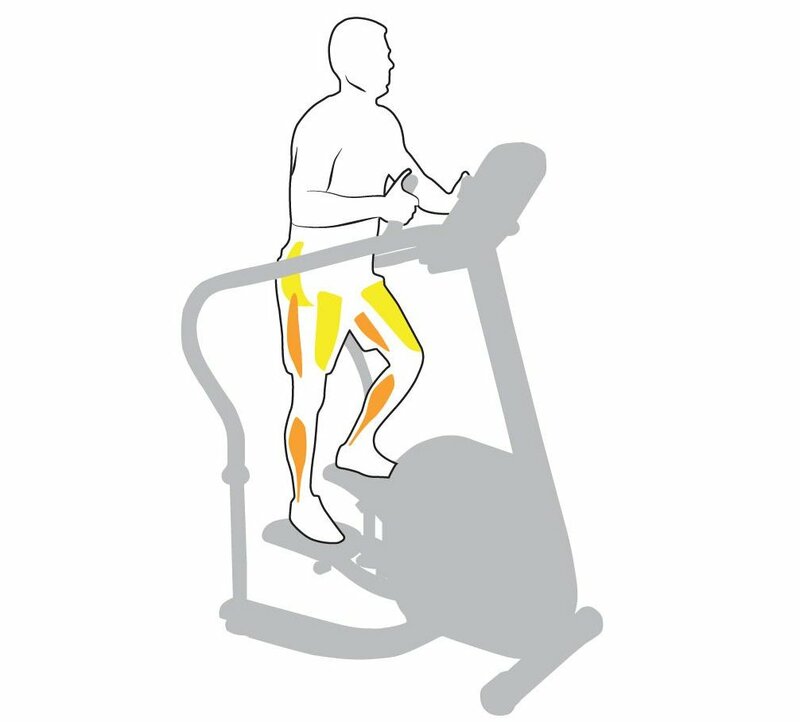 When exercising on a stationary bike or a regular shag, you will significantly reduce the load on the knee, if it is “soft” and at the lower point is not fully extended, but slightly bent. The main thing is to correctly determine the choice of model. Whichever device you prefer, the main thing is the correct technique and regularity. So that, do not turn a stepper into a shelf for clothes and into a hanger – an exercise bike, do not dissuade with fatigue or lack of time. And your body will be beautiful, and well-being – great. Attention! A simple formula will help you decide on the type of stepper: goal + price + availability of space for installation. Gradually reduce the degree of reliance on the hands, giving up on it altogether. The stepper gives a rather serious load on the muscles, ligaments and joints. So you should not force the complication of training too much. Increase their complexity and duration gradually. However – unswervingly, to the limit of reasonable limits. As for the frequency of training, then if you spend half an hour or more on a stepper, the daily regimen is not recommended. Even for experienced athletes. However, in the days of rest, it is possible to carry out short, warm-up workouts, for about 10 minutes. They will not do any harm, and, on the contrary, they will be very useful. In no case do not neglect a serious warm-up. We have already mentioned this. It seems to you that this is too simple advice? Especially for those who already have experience in training on cardiovascular machines. Yes and no. Sometimes a stepper gives a deceptive feeling that you are already very easy to do. And it is precisely those who have gained some experience that catches up with you. Keep this in mind! Watch your breathing and heart rate – these two parameters are very important in any workout! There are so-called rotary steppers, in which, instead of the usual handrails, there are expanders. They resist the movements of the athlete’s body from side to side. As a result, the practitioner gets an additional load, primarily on stabilising muscles, which is very useful. We have already considered the types of steppers. But if you do not have the opportunity to buy a rotary stepper, we will tell you a simple secret. We recommend you to simply fix the expanders on the simulator, or next to it. And then try out this mode of operation. It is possible that you will enjoy! Do not forget that training should begin no earlier than one hour after the last meal. And no later than two hours before the moment when you plan to go to bed. This applies not only to the stepper but once again focus on this aspect does not hurt! We hope that these tips will allow you to eliminate those who have training mistakes, increase the effectiveness of classes, and avoid injuries. The stepper deserves much more attention of fitness lovers than it has managed to get so far. With this simulator, you can achieve really a lot! 7 tips on nutrition during exercise on the stepper for weight loss and not only. Perhaps every athlete or even a person who is even interested in sports (or maintaining a normal form) knows about the high importance of nutrition in order to maintain normal health, well-being and achievement of high results. Food is the only building material you can use for the body. Of course, the body is a miraculous mechanism that transforms various elements in the right way, but without the right food, the work of this mechanism becomes less effective. That is why you need to follow your own diet. Consider this question in the context of training on the stepper. There are a number of key points on which to rely, these points and consider further in more detail. 1. Normalise your diet. Even when you train for weight loss, more often than not, you do not need to reduce somehow the number of calories consumed and follow strict diets. You can use the table of energy costs. Only we are talking about situations where you train quite actively, regularly, and give sufficient load. Cycling and step workouts are related to active loads. In a situation with the reduction of the diet and active workouts, the body can enter the stage of exhaustion and will feel stress. The result will be an active production of cortisol. This hormone, in turn, contributes to obesity, translates the body into a mode of energy storage. And energy is stored mostly in adipose tissue. Therefore, you do not need to excessively cut the diet. You will still spend the right amount of calories in training and start the metabolism and burning of fat cells as needed. People in old age and pregnant women should make decisions about occupations only with the approval of the doctor. It should only follow a normal healthy diet. Attention! If your normal diet is fast food or other harmful products, then this diet, of course, will have to be adjusted and limited. You need to get calories from healthy food, which helps in training. 2. Track your wellbeing after a meal. The best option for a competent assessment of the products you use is to record your well-being and main effects. Your body is unique. Therefore it is better to independently assess how different dishes affect you. Try to assess the impact of the food used and screen out any third-party facts. For example, you can keep a short food diary. When you understand after which products you are simply better off, you can create the most effective diet for yourself. You can buy these drinks in stores or make them yourself. They are very popular among cyclists and other fans of aerobic activity. A feature of isotonic agents is the ability to perfectly restore the body after prolonged interval loads. One way or another, you will need to drink enough water. As an alternative to water, you can use isotonic and similar beverages. If you train for weight loss, use different water options with additives, like ginger, cinnamon or lemon. Such and similar options for a small snack can significantly increase your enthusiasm before the session. Just do not lean on protein foods, focus on carbohydrates. pasta made from rye flour or durum wheat. However, there are many other options for complex carbohydrates. You can certainly find something to your liking. If you train for weight loss, before and after training it is better not to eat for 1-2 hours at all, but only to drink water. However, you need to focus on your own well-being and not to bring yourself to excessive exhaustion. Training for the development of endurance and strength require nutrition before and after training. In particular, after class, it is useful almost immediately (after a short rest) to eat a small dish. Which roughly consists of half of protein and carbohydrates. You should choose the calorie content of such a snack in half of the number of calories you spent in training. Attention! After exercise, do not use fatty foods and caffeine. They impede the absorption of beneficial elements in the body and the recovery processes in the muscles. Try to maintain a normal nutrition schedule. It is best to have a similar daily meal schedule. Just adjust the diet and calorie content for each meal, depending on the goals of your classes. To speed up the metabolism, it is recommended to eat 5-6 times a day in small portions. 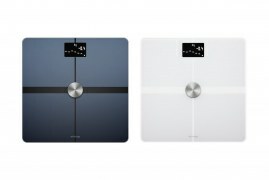 In addition, it does not hurt to find out how much time you need to practice on this simulator in order to lose weight. About this, we wrote above. Can I do after a meal? but to train endurance or the development of other properties (not for weight loss) you may eat before training. Of course, sometimes it is uncomfortable to train completely after a meal. And digestion will not be carried out in the best way, it is best to wait at least half an hour after eating. The food you receive is a source of energy for physical activity. Therefore, if you lose weight, then exercise on an empty stomach so that the body uses the fat reserves that have been deposited earlier. If you want to develop strength or endurance, then you can eat something carbohydrate before training. In order to make the workout more intense. In conclusion, we note the ability to use a normal and healthy diet without spending significant time and money. Use food that is specific to your region. (believe me, there are many excellent alternatives to goji berries or something similar and at a more reasonable cost in your territory). Form a diet according to the seasons, that is, do not overeat in summer and use more light and vitamin food. Provide for yourself with the right amount of energy in the winter, use heating products. 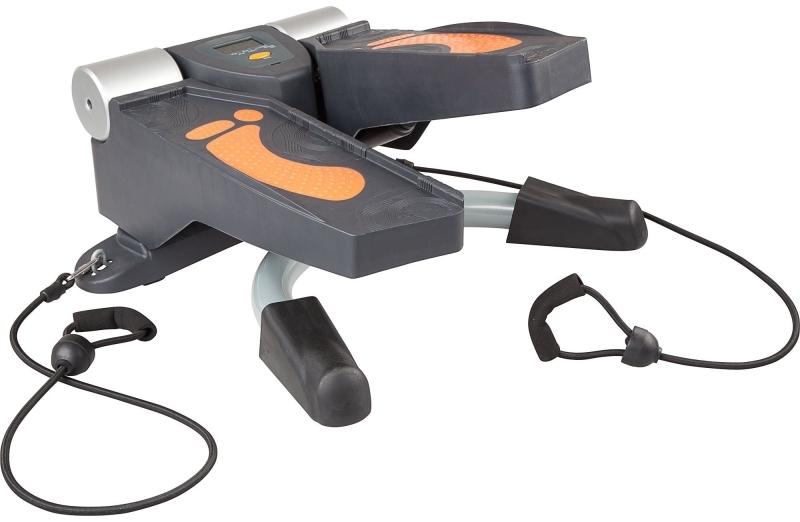 Everything that you learned today about steppers will allow you to answer the question – is this your cardio trainer? To buy a home, weigh your financial capabilities and housing dimensions. Analyse your health and, if in doubt, consult your doctor. And yet – determine the objectives of the lesson and weigh your determination in observing the schedule and consistency of training. If you decide everything positively – start walking to your health and follow your results after training. As you can see, even a small simulator can bring great benefits in keeping fit, losing weight, can get rid of cellulite and adjust the shape. Consequently, the main thing is to take the first step. Step on stepper!